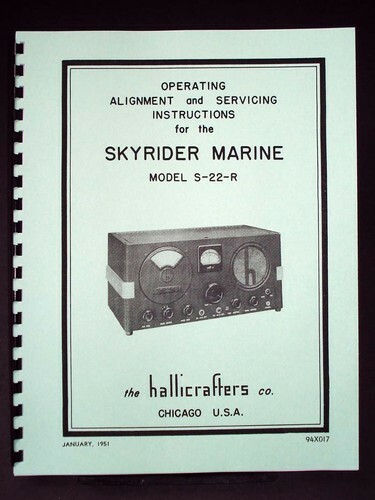 For sale is reprint of Hallicrafters S-22-R Skyrider Marine Alignment and Servicing Manual. 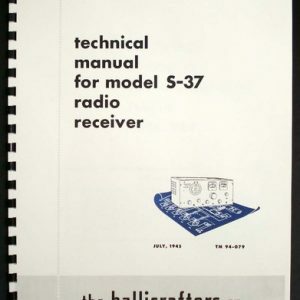 Manual is 14 pages long and includes 11″x17″ foldout schematic. 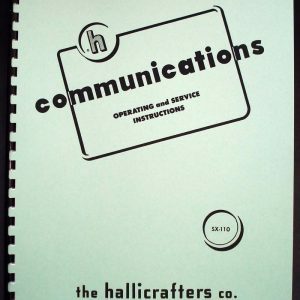 Dated January 1951. 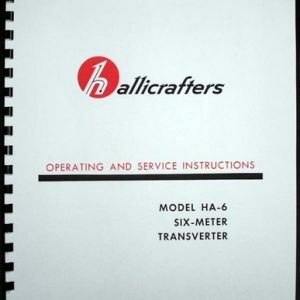 Manual consists of sections: Operating And Alignment Instructions, Alignment Procedure. 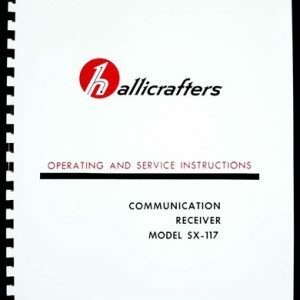 Part List is 8 pages long and very detailed, very helpful when troubleshooting. Must for every owner of this great receiver.